Corporate Wellness Training for the Coach who wants more! 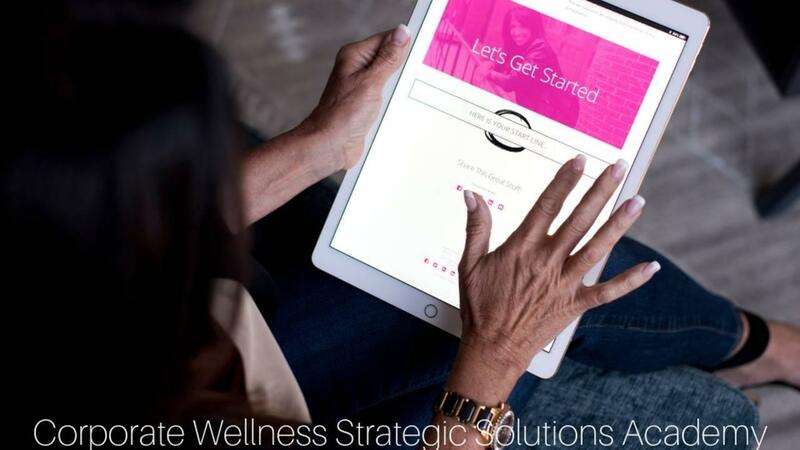 This personalized training program will give you a step-by-step method along with the tools to bring your current wellness practice to the corporate wellness market. You will be a Corporate Wellness business owner. I will train you whether you're just beginning from scratch or help your current business reach new levels of profitability. Becoming a corporate wellness owner and coach is easy. This training program isn’t for everyone. In fact, this training's designed EXCLUSIVELY for driven health coaches, health practitioners and self-employed wellness professionals who provide expert services, are growth-minded (read: want MORE revenue!) AND who are genuinely excited about getting out and reaching more people with their message at once. It's for people who can't wait to interact with their ideal target clients in a way that has a big impact on them. So join us on MARCH 25, 2019 to start your journey into the exciting world of Corporate Wellness!